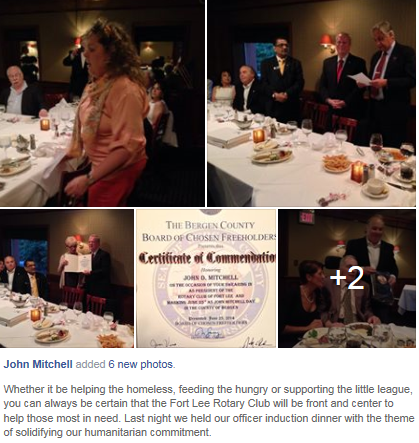 Project Literacy Says Thank You! ...Lively conversations about saving young lives, promoting literacy, helping the disabled, a shoe drive and Rotary Means Business were front and center followed by planning our Holiday Party...Very cool..!! 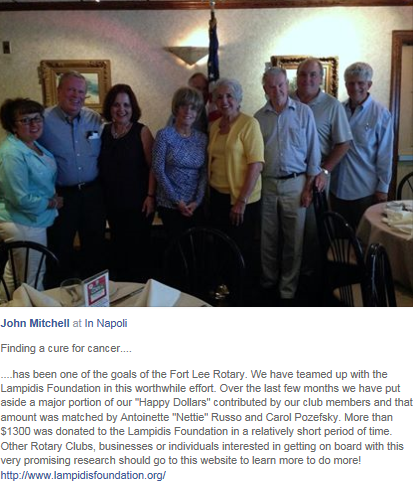 ...Our Fort Lee Rotary Club received this beautiful letter from former strangers, Baby Hanna and her Mom Joy. This makes it all worth it!
" What we have done for ourselves alone dies with us. What we have done for others and the world remains and is immortal. " 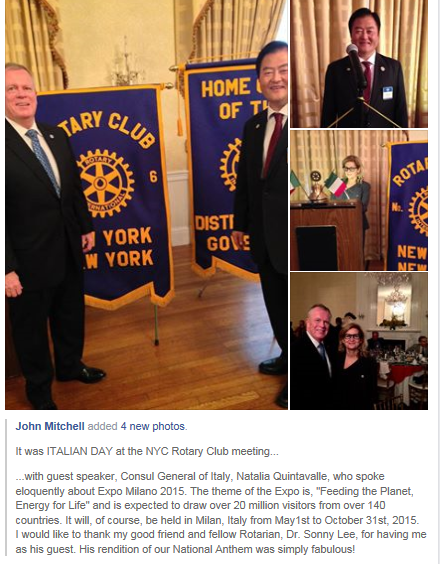 Interact is Rotary International's service club for young people ages 12 to 18. 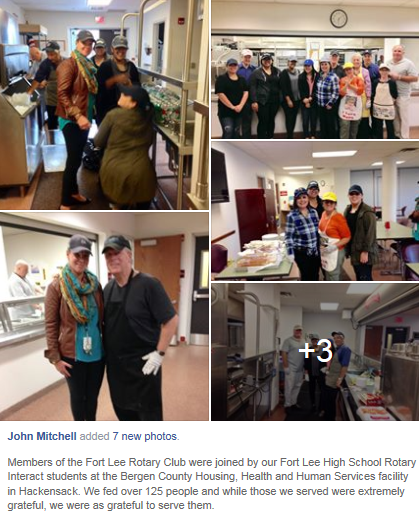 Interact clubs are sponsored by individual Rotary clubs such as the Rotary Club of Fort Lee, which provide support and guidance, but they are self-governing and self-supporting. 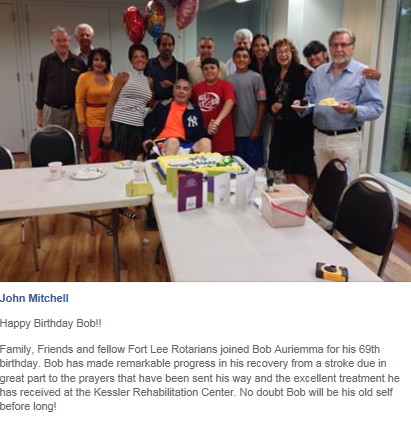 Rotarian and and past Club President, Alan Zimmerman, has been our long time Interact Liaison to Fort Lee High School. One of the most pleasurable events every year is to provide scholarships to worthy students. This year's winners were Amaya Morales (Fairleigh Dickinson University) and Shaina DeLeon Montoe ( Monmouth University). 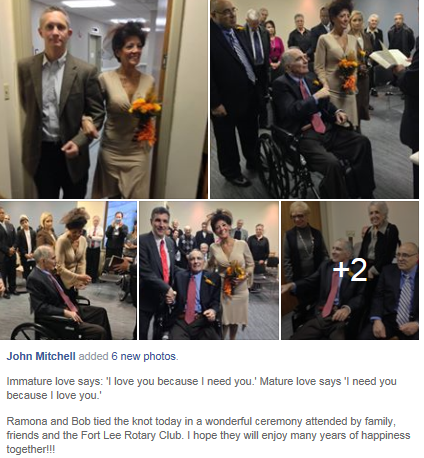 ...Today was such a day as Dr. Francis Capriccio accepted our invitation to join our growing lineup. 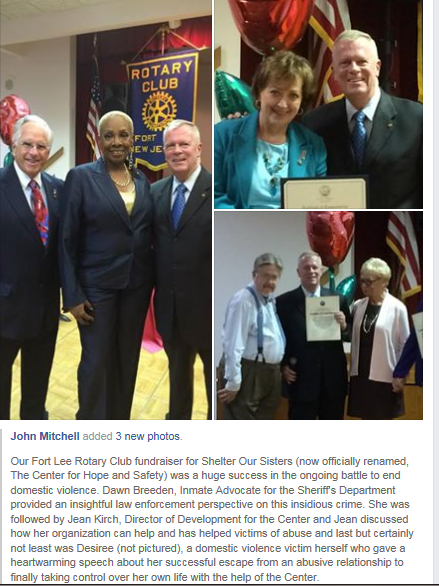 Dr Capriccio has already stepped up as we pursue our ongoing projects to save lives through Rotary's Gift of Life Program and our support for Project Literacy...Welcome my friend! 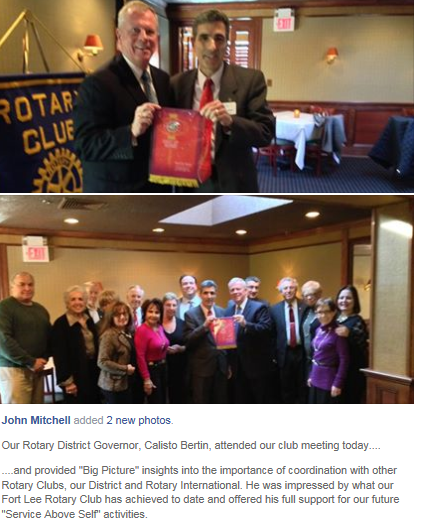 Rotary is at the forefront for eradicating polio! 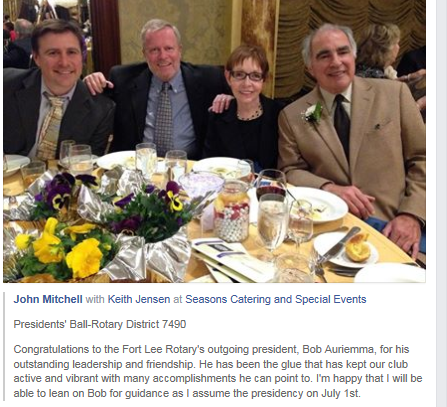 Message me or go to Rotary.org if you are ready to join us. 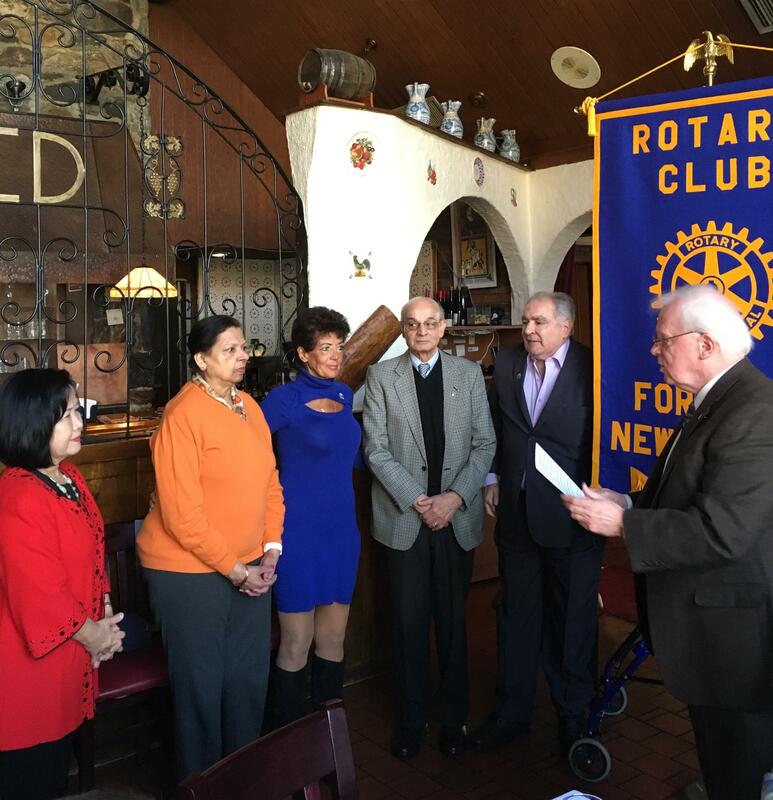 Our Fort Lee Rotary Club has a long tradition of supporting good causes. Every week we ask each other what we are happy about and start a pool of a few dollars called "Happy Dollars'. 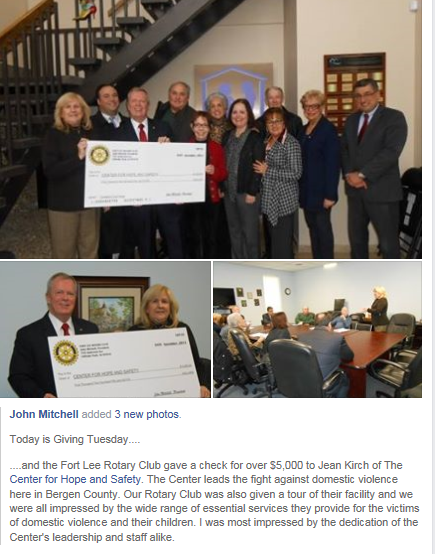 Freeholder and fellow Rotarian Joan Voss suggested that we donate the proceeds from our "Happy Dollars" to the Bergen County Project Literacy. 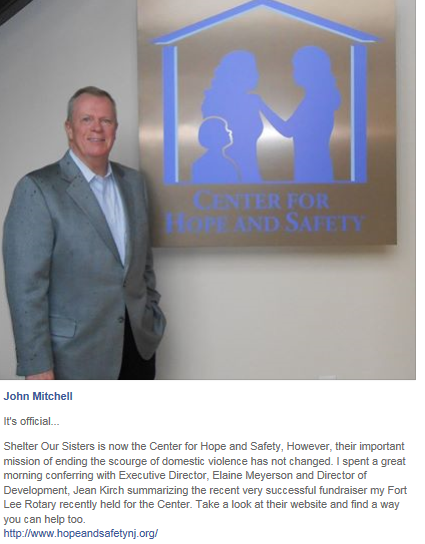 After six months we collected a sizable sum and Joan delivered the check to their Executive Director, Chris Stout. 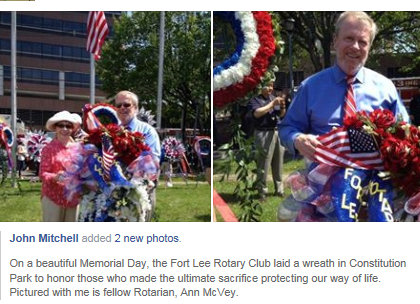 Chris is also a Rotarian and fully understands the meaning of "Service Above Self"! 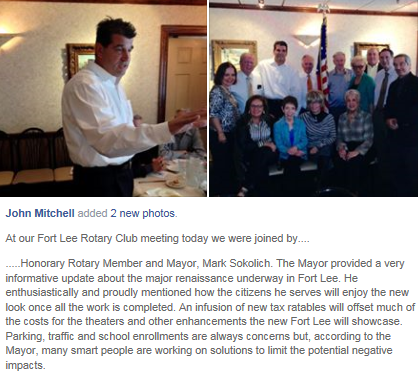 Meet the Fort Lee Rotarians!